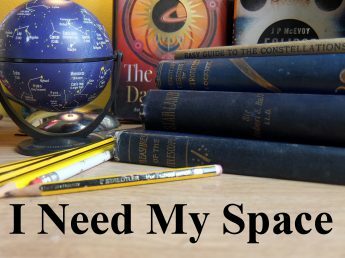 Jupiter rising | I Need my Space! I sharpened the Jupiter picture from my last post in Registrax, and was pleasantly surprised at the image I was able to pull out, given it was so low in the sky and imaged through the city’s haze. I’m seriously thinking of spending a few quid on a better quality 2X barlow. The one I used for this shot came with the telescope (the 8″ Skywatcher). That photo was taken earlier this month, but last night I was in Shropshire sans telescope, but was pleased to see Jupiter quite high, just above the bright star Spica in Virgo. Here’s a map of the area from April’s Astronomy Now magazine.